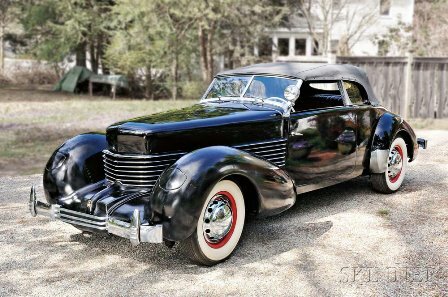 Headlining the auction is a 1937 Cord 812 Phaeton (estimated between $110,000-$120,000). Famously designed by Gordon Miller Buehrig, the Cord 810/812 is regarded as the most distinctive and innovative automobile design of the 20th century. The Cord on offer has been on loan to the New England Air Museum for many years, and most recently exhibited under the wing at the Amelia Earhart (1897-1937) exhibit. It features 125 bhp, 90-degree, 288-cid V-8 engine with aluminum heads, and 4-speed transmission with vacuum electric shifting. 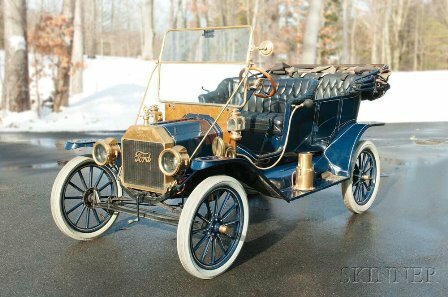 Most of the vehicles offered are from the estate of civil engineer Eugene B. Bunce, a well-known Massachusetts collector. 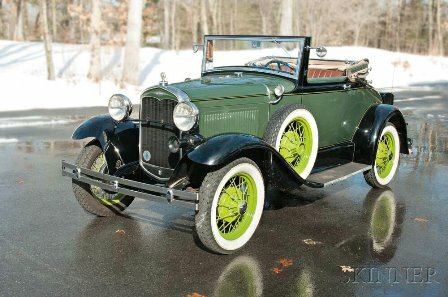 Bunce was a dedicated member of many area car clubs as well as a contributing supporter of the Model A Ford Museum in Michigan. He was also an avid inventor awarded many U.S. patents and was the founder of Bunce Industries of Stow, Mass. 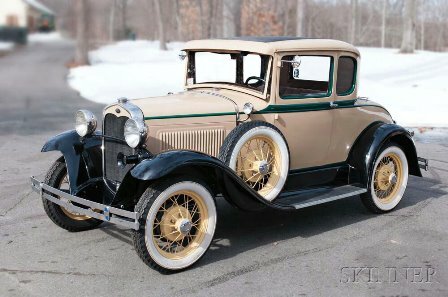 Another key vehicle in the auction is an award winning 1931 Ford Model A Roadster (estimated between $35,000-$45,000). 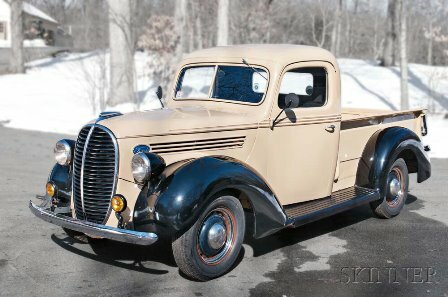 The car is in very good condition and features a Manila brown body and gun metal gray belt with straw pinstripe and straw wheels, black fenders, and a brown interior. 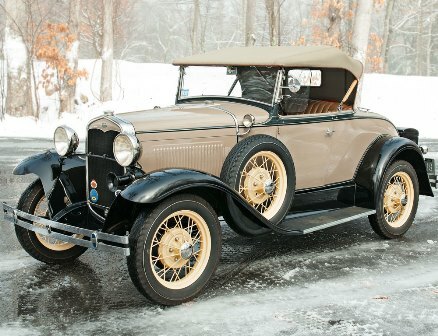 Awards include the Model A Ford Restorers Club, Henry Ford Award, MARC of Excellence (Master Restoration Award), Model A Ford Club Award of Excellence, and Restored Class 2010 AACA Senior National First Prize Winner. 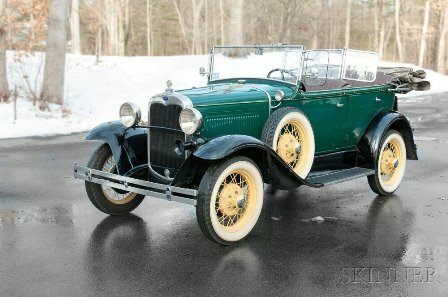 Also featured will be a Packard 250 convertible (estimated between $26,000-$28,000). The 250 was manufactured from 1951 through 1952 with just 9,841 examples produced. 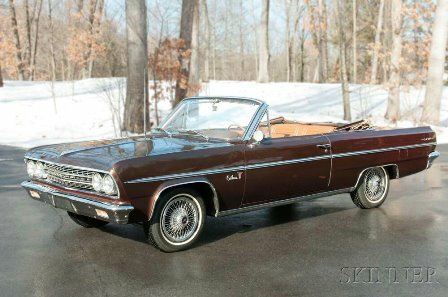 It shared the same basic body and wheelbase as the 200, but came equipped with Packard’s larger 327 cubic-inch 8-cylinder inline engine. 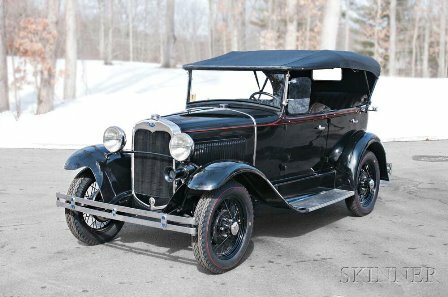 The Packard is in good running condition, featuring a navy blue exterior, a white cloth top, classic red and white leather interior, and a ”Cormorant” deluxe hood ornament. 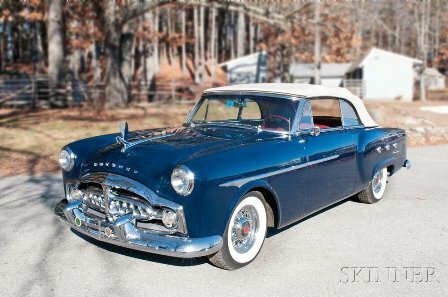 The 1951 convertible is from the estate of Henry Snyder and will be sold to benefit The Shriners. 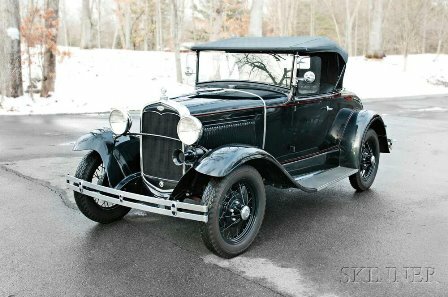 Other vehicles offered during the auction will be: 1931 Ford Model A Roadster, 1930 Ford Phaeton, 1909 Ford Speedster, 1912 Ford Touring, 1963 Oldsmobile Cutlass Convertible, 1931 Ford Model A-5 Window, 1930 Ford Model A Phaeton, 1939 Ford Pick-Up Truck and a 1931 Ford Cabriolet. 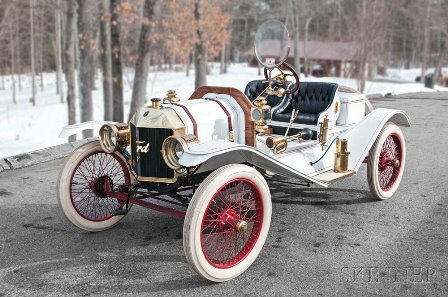 The auction will also feature 29 lots of automobilia from The Bunce Collection, including a Richfield gasoline and oil pump, a Model A Mitchell transmission, and a re-built Model A short block. Illustrated catalog 3003M is available from the Subscription Department at subscriptions@skinnerinc.com. Prices realized will be available at www.skinnerinc.com during and after the sale. Skinner’s website enables users to view all lots in the auctions, leave bids, and bid live in real-time through SkinnerLive!